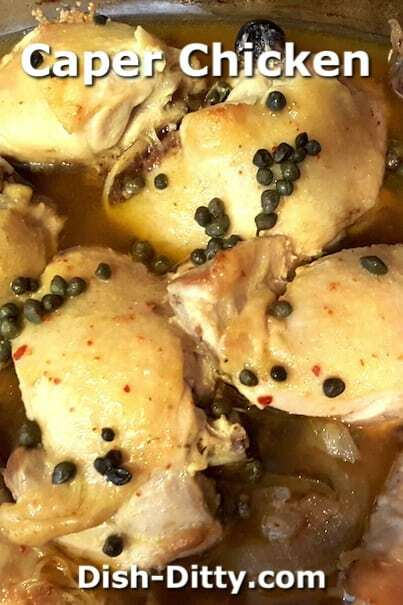 Jammin’ Judy is back with her crowd pleasing Caper Chicken Recipe. Cut off the top part of the leeks and discard the tough dark green section. Slice the leek down the middle and swish in cold water, separating the leek parts to get out all dirt & sand. Slice the leek into smaller pieces. 2) You can add as many or as few capers as you like. I tend to go with extras, because it is something my son really likes. 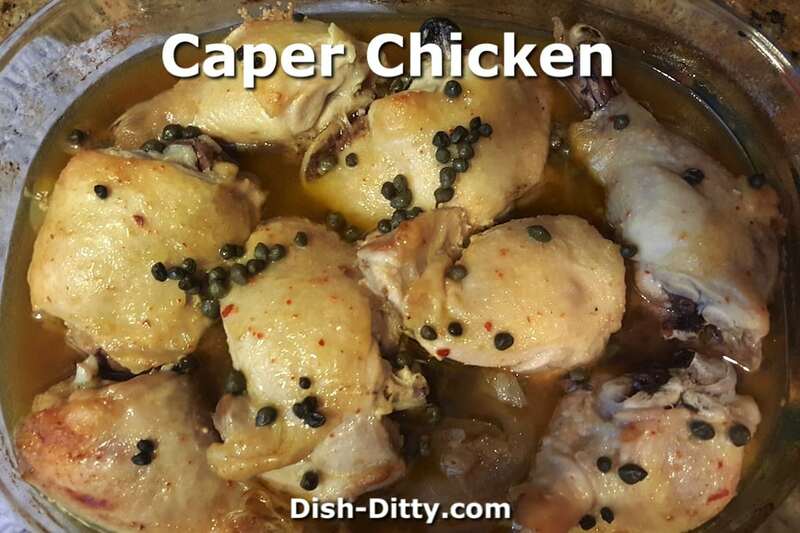 More capers will add additional tartness. 3) This dish pairs very well with mashed potatoes. In a mixing bowl, whisk together the champagne vinegar and Italian Dressing Mix until blended. Add the olive oil, water, vermouth & Dijon mustard. Set aside. Oil a large baking dish using olive oil. Place the sliced onions on the bottom of the dish. Place the sliced leeks on top of the onions. Sprinkle the garlic over the onions & leeks. Place the chicken on top of the vegetables. Pour the dressing mix over the chicken and sprinkle the capers on. Cover tightly and bake for 1 hour, until the chicken is done. Place the chicken on a platter an cover to keep warm for serving. Strain out the vegetables into a separate bowl for serving. In the baking dish or a stove-friendly pan, heat the juices from the chicken until boiling. Mix the cornstarch with the water until blended, and stir into the pan. Continue stirring and cooking until the gravy reduces and is thickened. Serve the chicken with the gravy & vegetables on the side. 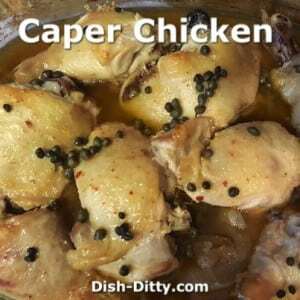 No Replies to "Caper Chicken Recipe"